BECOME AN I AM B2 LOYALTY MEMBER TODAY AND ENJOY EXCLUSIVE BENEFITS. Central Plaza Chiang Mai Airport 1.2 km. frequency of your stay to keep offering you more rewards. 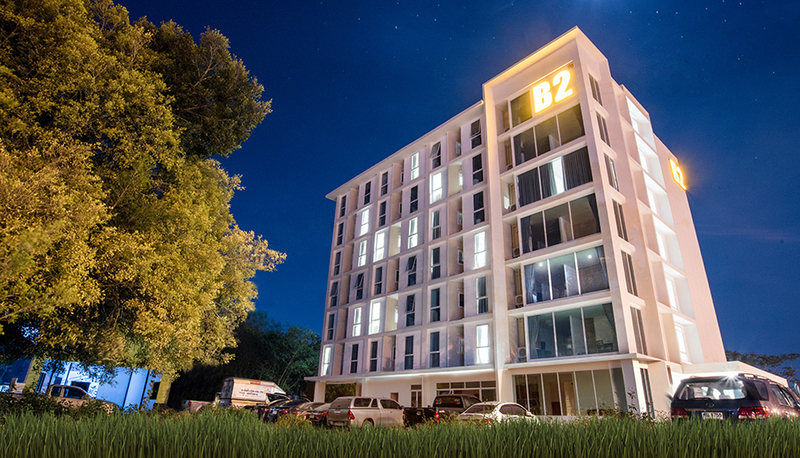 Join I AM B2 now to earn points redeemable for free nights and exclusive rewards by B2 HOTELS. • I AM B2 member card can be used only in accordance with the "Terms & Conditions" published on www.iamb2.com. Please read the Terms & Conditions carefully. • This card is the priority of GPCM Group., Ltd The company reserves the night to cancel this card and/or withdraw privileges without prior notice.